If you have a 4K television and a good soundbar, you should complete your lounge set up with a 4K Blu-ray player. While all the streaming channels, such as Netflix and Amazon offer 4K streaming, experts say streaming quality will never match up to the 4K quality offered by a 4K disc and a 4K Blu-ray player. Of course, you may already have a Blu-ray player, but if your television is 4K ready, you could be missing out on an incredible step up in picture quality that a 4K Blu-ray player provides. So why should you upgrade your regular Blu-ray player to a 4K one? Standard Blu-ray players are only capable of reproducing HD content, so even if you bought a 4K disc to put in it, the maximum output you’ll see on your TV will be of HD quality. To make full use out of your TV’s 4K features, you’ll need to purchase yourself a 4K Blu-ray player. A 4K Blu-ray player won’t just make the most out of your TV’s 4K resolution, it’ll make the most out of its HDR features, too. Most Blu-ray discs have the ability to store HDR data, so you can expect the picture to be brighter, clearer, and more realistic than if you were watching a HD DVD on a standard Blu-ray player. For the most part, 4K Blu-ray players are much of the same - they produce content to a 3840 x 2160 resolution. Some of them do however, have a couple of techy features that may make them stand out from the rest. For example, some may offer 3D support, while the best ones feature Dolby Vision HDR standard for the pinnacle of picture quality. We’ve done some research and come up with the best 4K Blu-ray players on the market to date. From good all-rounders like the Panasonic DMP-UB900, to those great for gaming as well as movie watching, such as the Microsoft Xbox One S. We also want you to benefit from the best pricing, so we’ve searched the likes of John Lewis, Amazon and Argos to bring you not only the best 4K Blu-ray players, but the friendliest prices, too. 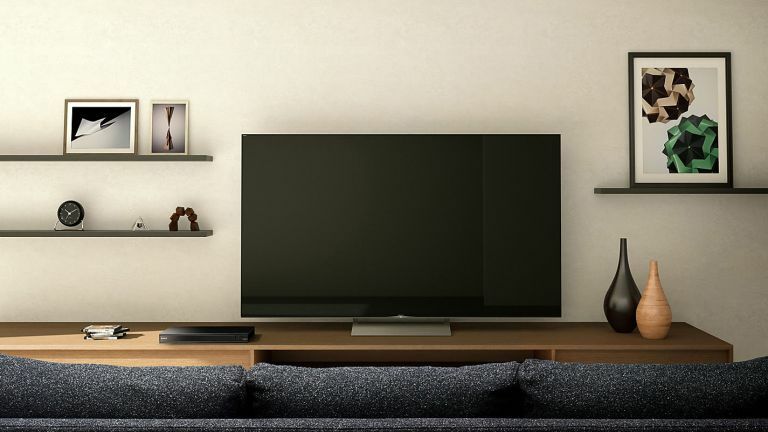 A 4K Blu-ray player may not be high up on the priority list when it come to kitting out your lounge, so it’s good to know that you don’t have to spend silly amounts to get one. This Samsung 4K Blu-ray player is probably the best one to buy on a budget, as it still promises impressive 4K HDR image quality, which is the most important aspect. While it may not offer much from a style point of view, it’s set to have a fast loading speed and supports 4K services from Netflix and Amazon Prime. The only downside is its lack of quality music playback, but it’s a minor pitfall, price considered. With its great picture quality and hi-res audio, this is a good all-round 4K Blu-player that is more than adequate as a music player, smart function featuring all the favourites such as Netflix and Amazon Prime. While slightly more expensive than our first pick, you are paying for its additional audio features and its ability to play both SACDs and DVD-As formats. The main niggle for most people is that it doesn’t feature any analogue stereo input, so you’ll need to make sure you have HDMI cables handy. Experts claim that this 4K Blu-ray player is capable of providing incredible playback footage, thanks to its HDR technology, describing it as providing brilliant colour, deep contrast and three-dimensional clarity. Like our second pick, it’s also capable of great audio playback quality from CDs, which is largely thanks to its upscaling technology. Sleek and smart in appearance, it’s pleasing on the eye, too, making it worthwhile the extra value. If audio and picture quality is all you care about, then this is the 4K Blu-ray player for you. Its unique selling point is the fact that it supports Dolby Vision HDR standard, which means you’ll benefit from the best picture you’ll ever see. Tech geeks will also be pleased to hear that it supports a range of video and audio formats so you can guarantee yourself the best of both worlds. With three HDMI ports, there’s plenty of slots to set up your ideal visual and sound system. The only downside is that it has no smart hub. While not technically a Blu-ray player, the Microsoft Xbox One S has made the list because of its dual capabilities. As well as supporting HDR gaming, this machine will also playback 4K Blu-ray disks in all their superior picture glory. In addition to this, it supports Netflix in 4K Ultra-HD. If you’re looking to upgrade your games console and you’re looking to receive the biggest return on your investment, this Xbox is definitely a great one to go for… so long as you don’t mind the gaming interface. As the little brother to the DMP-UB900, the DMP-UB700 does lack some of its most coveted features, including the level of picture quality, but that’s not to say that the picture quality produce by this 4K Blu-ray player is sub-standard. In fact, experts say that for the money, you can’t get much better, and supporting HDR enabled Netflix as well as 24-bit audio, there’s plenty for users to write home about. If you like the sound of our Samsung budget option, this one is its maturer and wiser big brother. Featuring a superior picture quality and better sound playback, this is 4K Blu-ray player is the result of Samsung going back the drawing board. While it doesn’t support 3D playback, it’s built in tech features make it ideal for curved screens. As a mid-range, cost-in-mind purchase, it’s a good buy, but for just a tad more money, there are better ones out there.